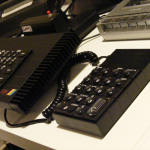 When the first pictures of the Sinclair ZX Spectrum 128 appeared usually the Spanish version of that new computer were shown. 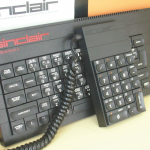 It was the Spanish Sinclair computer distributor who made Sinclair do it. So Spain was the first market where this system were available and was supported by a comprehensive advertisement campaign by Investronica. 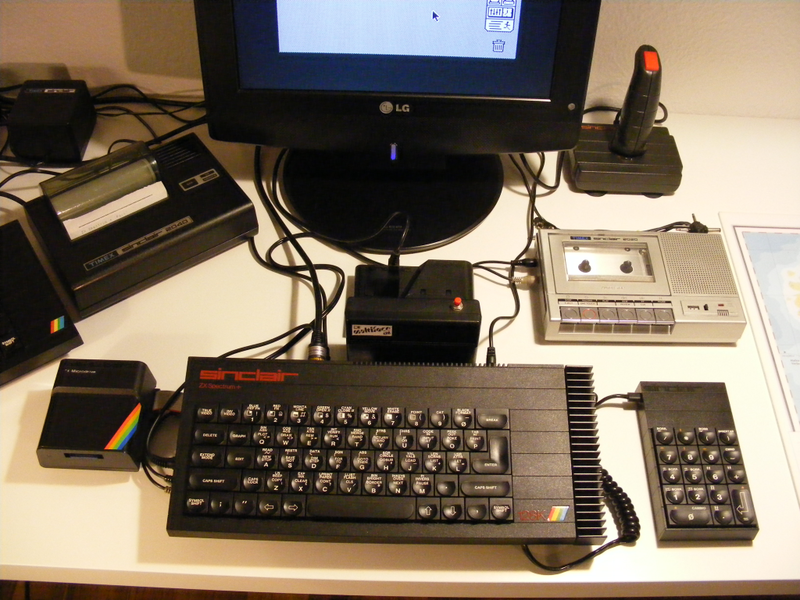 Being a more capable computer than the former Sinclair ZX Spectrum+ it was shown in a more professional environment: Investronica introduced a corresponding black serial dot matrix printer (BMC BX-1000) and a RGB monitor (BMC) – both utilising the new serial and RGB interfaces. 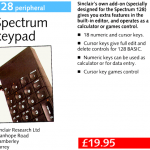 And added a new device for the system: an additional numeric keypad. 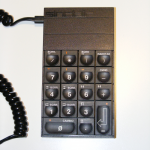 This device was a funny mixture of a classic keypad (i.e. 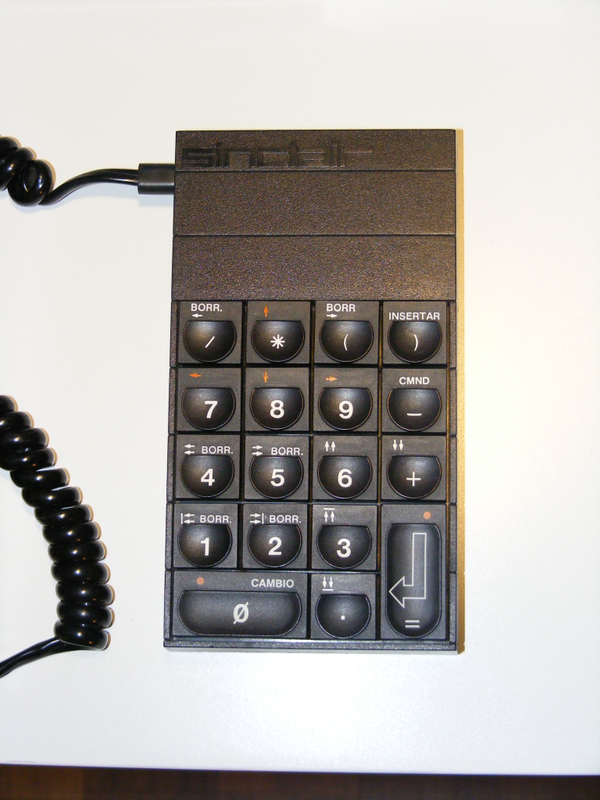 for entering numeric data) and some kind of „computer mouse replacement“ because it featured special functions for fast movement in the Sinclair 128 Basic screen editor. 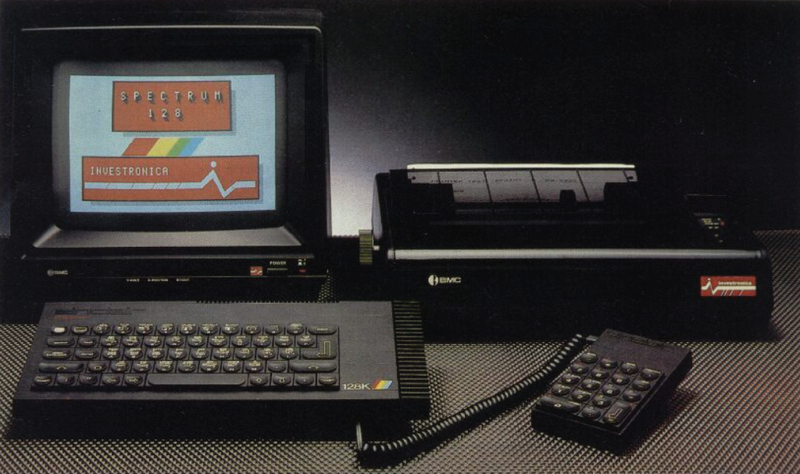 And of course could be used to play games. 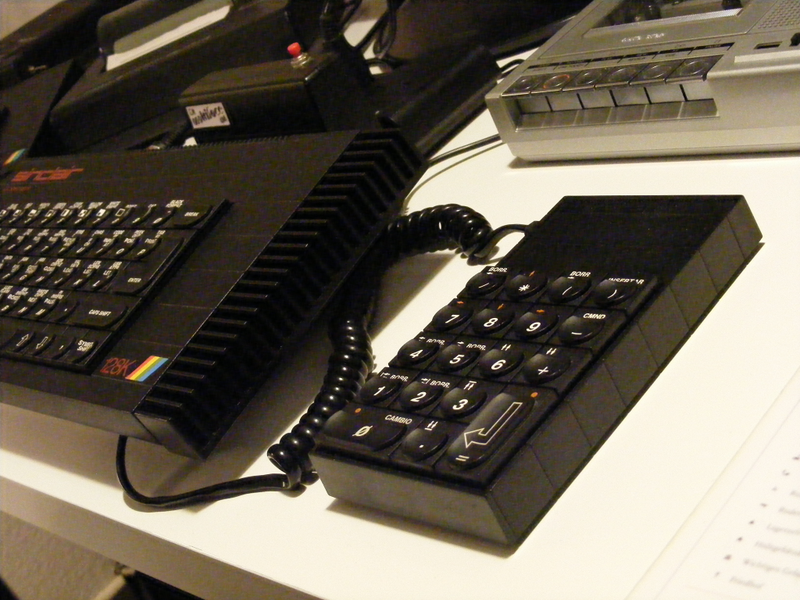 Being a very proud Sinclair ZX Spectrum 128 owner since last year I was searching for the keypad since then. 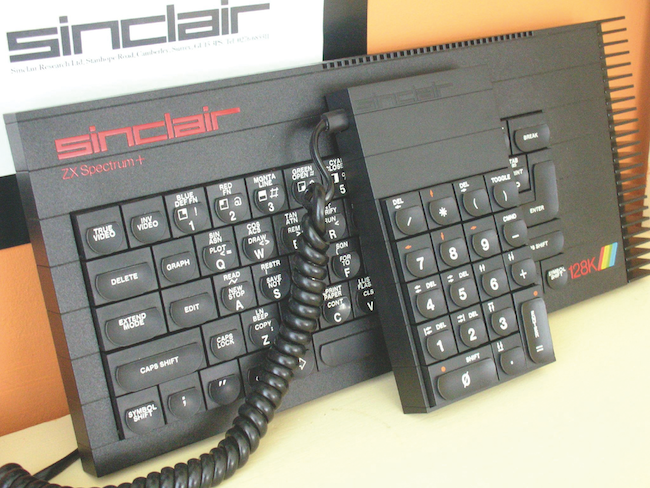 While the computer itself is somewhat rare nowadays (especially in a good condition) the famous additional keypad is even more scarce. 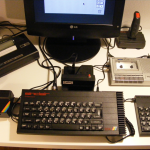 Some people even state that an English version was never sold – only promotional material was produced. 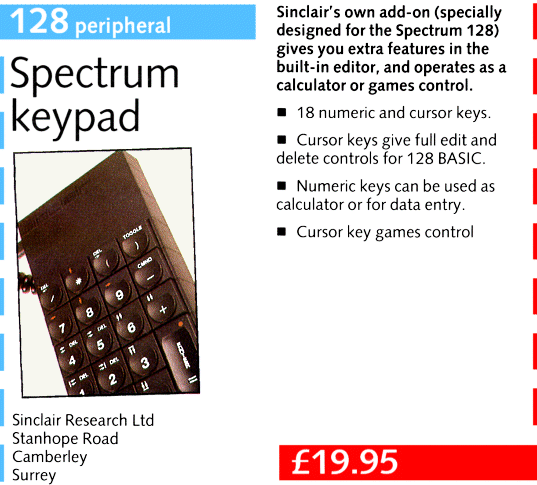 In contrast to the Spanish market where the keypad was included with every sold ZX Spectrum 128 for the rest of the world the keypad should have been purchased as an extra peripheral. In the end I were of course only able to get a nice Spanish keypad. I still need to practice the special movement keys for the Screen Editor. Nevertheless the device fits perfectly to my 128 setup and after some days of usage it really seems to be an effective extension.